Boho Beach Bungalow: Sale Alert! 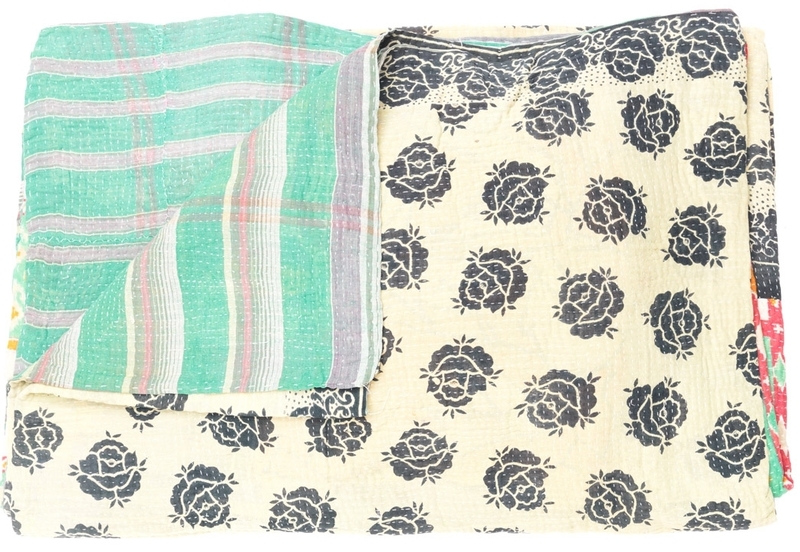 Kantha Quilts on Swirl! Sale Alert! Kantha Quilts on Swirl! 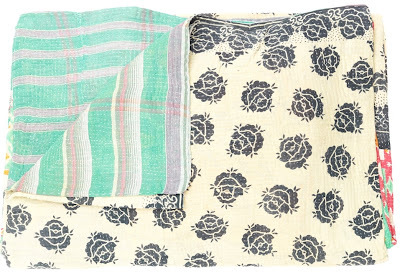 Swirl is featuring Couleur Nature Vintage Kantha Quilts today. 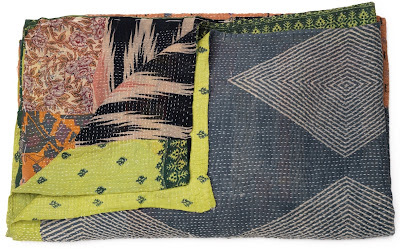 They are one-of-a-kind lightweight quilts hand stitched with vintage Indian textiles. I love me some Kantha, and if I didn't already have one at home would be fighting for one now. Click here if you need an invite to Swirl. Attn. Importing deppt. / Buying deppt. We Jay Sales Corporation is a leading Indian manufacturer and exporter of finest home furnishing textiles and Handicrafts such as Kantha Stitch Pillow, Throw, quilts, Cushion Covers, Bags, Book cover, scarfs, stoles etc. 2. Sizes vary in width 50-60″ and 78-90″ in length for throws. 3. Available in Assorted color, fabric and pattern. 5. Testing is not applicable over them. 6. Weight is approx 1.200 kgs. for Throws. 7. Delivery time : as per order quantity and normal lead time is 20 to 30 days from the final order confirmations. means your requirement can be full fill before christmas (By Air). Throws can be used as quilts, bed covers, Tapestry, Rugs etc. Also pls note if you want to develop any others items i.e. garments, bags, pouches, etc means your specific designs with in this fabric (vintage fabric) thn let us know we will do the needful. Pls let us know your comments.